Customers are always asking me "What do I need to complete this kit?" This page contains all the pieces specifically for building and flying the 22" EPP Mini Yak55. You will need batteries, a transmitter and a receiver as well. This version shrinks the popular Yak55 to a 67% size that allows it to be used in a smaller indoor venue while retaining all the great Leadfeather Yak55 qualities. 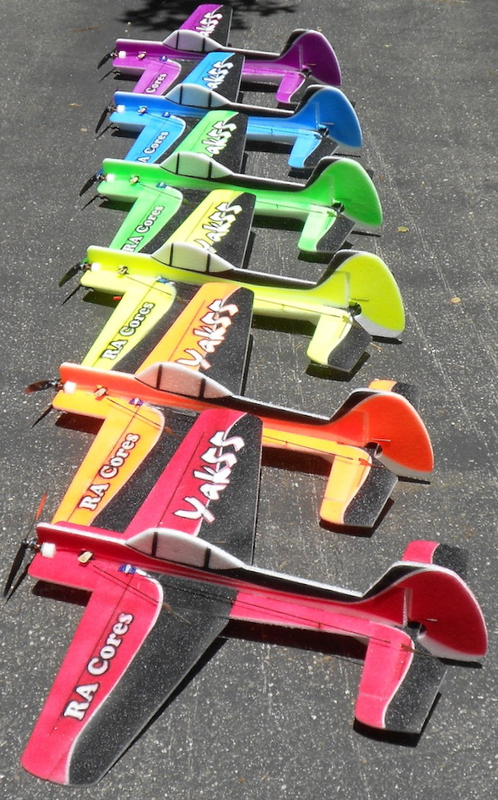 With the power system we sell the weight comes in under 90g and using 180mah 2S batteries you get a great flying plane for small gymnasiums for the winter that is fully capable of flying outdoors in the better weather. We have also shrunken our standard paint scheme and they are available in the same rainbow of colors popular with our standard 32" Yak55s. The link below will always contain the latest instructions which might be more up to date than the paper copy included with the kit. Plus you can click on the pictures and get large color versions to better see details. 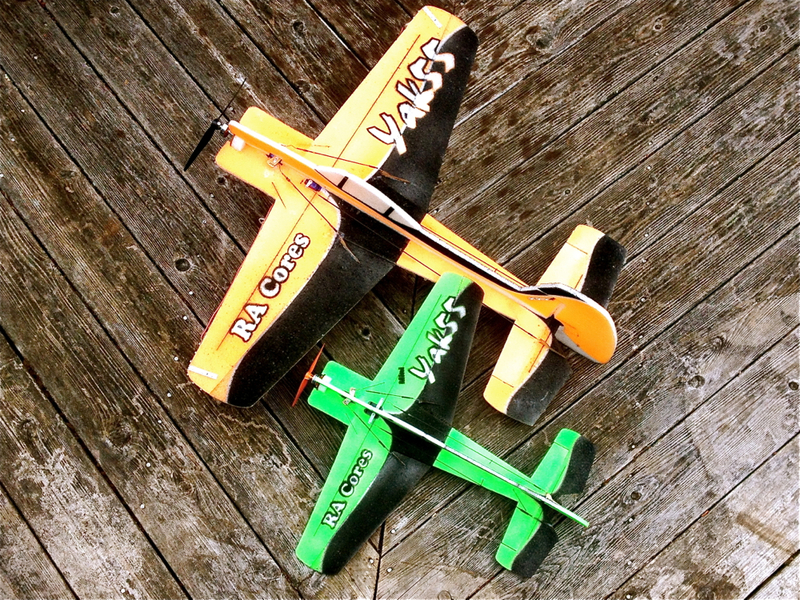 The 6mm EPP Mini Yak55 YouTube video playlist. Mean Joe V has posted the flight video of his Mini Yak55 review and the full review can be found on RCG. FlyRC magazine has allowed us to post a PDF of their 5 page December 2016 review of our Mini Yak55. Check it out if you didn't see it in the magazine.